Six albums into their storied career, Maroon 5 continue to expand the signature style that not only transformed them into one of pop music’s most enduring artists, but also elevated them among the 21st century’s biggest acts. To date, the universally renowned Los Angeles band have achieved three GRAMMY® Awards, become “the most successful group in the history of the Billboard Hot 100” with 12 Top 10 entries, sold over 20 million albums and 48 million singles worldwide, and earned gold and platinum certifications in more than 35 countries. March 2017 saw the musicians close out a massive world tour that touched down in 30-plus countries for 120 concerts in front of more than 2.5 million fans. Never stopping or slowing down, they went right back to work upon landing in Los Angeles. 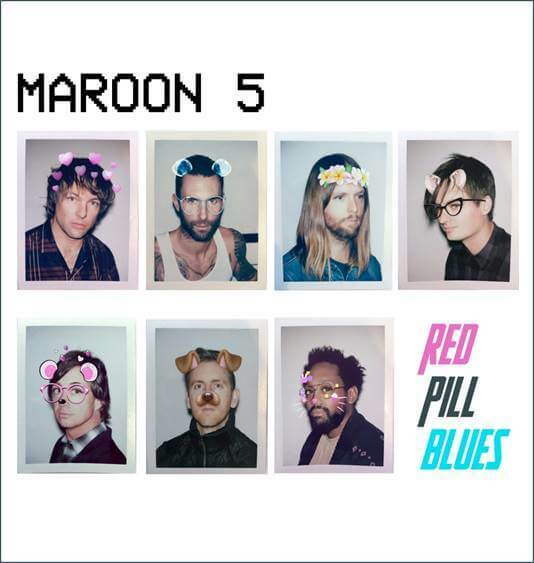 For their sixth full-length, Red Pill Blues (via 222/Intersceope), Maroon 5 enlisted the talents of longtime collaborator J. Kash as Executive Producer.“What Lovers Do” [feat. SZA] introduced this latest body of work with a proverbial bang. Driven by handclaps, tropical house flavors, funked-out bass grooves, fiery falsetto, and sizzling chemistry with SZA, the track emerged as another phenomenon right out of the gate. 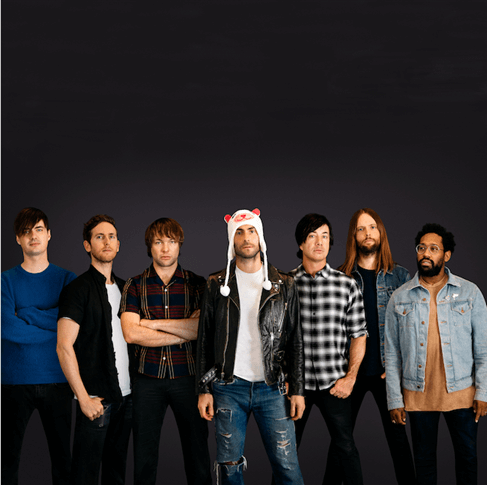 Maroon 5 set the stage for their latest full-length by releasing a pair of chart-topping standalone singles—both Kash collaborations. 2016’s “Don’t Wanna Know” [feat. Kendrick Lamar] went Top 10 in 15 countries and scored upwards of 320 million YouTube/VEVO views. In 2017, “Cold” [feat. Future] cracked 236 million Spotify streams and 104 million YouTube/VEVO views. Maroon 5 once again ruled pop with 2012’s Overexposed. All of its singles became chart-toppers as “Daylight” catapulted to #1 on Top 40 and Hot AC. Along the way, they set a record for most number ones (six in total) by a group in the Top 40 chart’s 20-year history. They also launched one of the year’s highest grossing tours, generating over 50 million dollars in ticket sales. During 2014, V bowed at #1 on the Billboard Top 200 and yielded “Maps,” “Animals,” and “Sugar”—which each captured #1 on the Top 40 Chart.Rolling Stone wrote, “Adam Levine and Co. continue their top 40 takeover with a set of irresistibly sharp hooks…The 11 songs here are precision-tuned and lustrously polished, jammed with hooks and choruses that build a man cave in your brain.” The music video for the band’s chart-dominating andGRAMMY® Award-nominated single “Sugar” notably amassed over one billion views to date—making it one of the most-viewed videos of all time. Now, album number six proves Maroon 5 are certainly here to stay.